Tom Gallagher is in a tight spot. The fate of the Dillontown team rests on the outcome of one baseball game, winner take all. If Tom's team loses, they lose their field too. But how can they possibly win? Just when everything seems hopeless, a mysterious boy named Cruz de la Cruz rides into town and claims to know the secret of hitting. Not to mention the secrets of Dante Del Gato, Dillontown's greatest hitter ever. Since he walked away from the game years ago, Del Gato hasn't spoken a word to anyone. But now he might be Tom's only hope for saving his hometown. From the award-winning author of Over the Wall and Choosing Up Sides comes this imaginative tale of one boy's struggle to preserve the spirit of the game he loves. John Ritter has written many novels and numerous short stories for Young Adult readers. His first novel, Choosing Up Sides, published in 1998, won the 1999 International Reading Association Children’s Book Award for Older Readers and was designated an American Library Association Best Book for Young Adults. 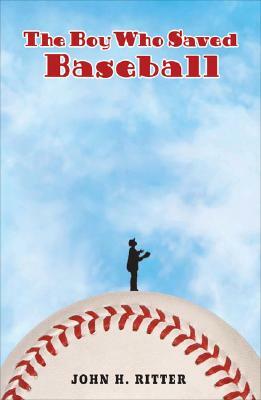 Kirkus Reviews praised Choosing Up Sides, which attacked the once-prevalent views of religious fundamentalists toward left-handed children, as, “No ordinary baseball book, this is a rare first novel.” In 2004 Ritter received the Paterson Prize for Books for Young People for his third novel, The Boy Who Saved Baseball.